During your career as a Virtual Assistant there will be times that you have to sign or should have your clients sign a non disclosure agreement. But what exactly is a non disclosure agreement? Why do you need one? How will it affect you? How can you get one? A non-disclosure agreement (NDA), also known as a confidentiality agreement, confidential disclosure agreement (CDA), proprietary information agreement (PIA), or secrecy agreement, is a legal contract between at least two parties that outlines confidential materials or knowledge the parties wish to share with one another for certain purposes, but wish to restrict access to. It is a contract through which the parties agree not to disclose information covered by the agreement. An NDA creates a confidential relationship between the parties to protect any type of confidential and proprietary information or a trade secret. As such, an NDA protects non-public business information. NDAs are commonly signed when two companies or individuals are considering doing business and need to understand the processes used in each others business for the purpose of evaluating the potential business relationship. NDAs can be “mutual”, meaning both parties are restricted in their use of the materials provided, or they can restrict the use of material by a single party. It is also possible for an employee to sign an NDA or NDA-like agreement with an employer. In fact, some employment agreements will include a clause restricting employees use and dissemination of company-owned “confidential information.” NDAs are used in the IT field, and are often given directly prior to taking a certification exam. If you give someone a special price you might want them to sign a non disclosure agreement. Mainly because you don’t want to have to give everyone the special price and when people find out that you gave a special price to one group, or person, they will expect you to give it to them too. If you outsource some of your tasks you may want to have the person you outsource to sign a non disclosure agreement. 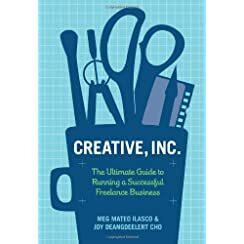 While nothing is wrong with outsourcing, it does make some clients uncomfortable, but honestly you can’t do everything and make a good income, so this may be necessary to protect your client base. If your client asks you to sign a non disclosure agreement it is likely that they will not do business with you unless you sign it. It is my opinion that there is nothing wrong with signing one but please, if you have a lawyer, always have your attorney look over all documents that you sign. If you don’t have one, at least read every last word of any agreement that you sign. Keep in mind if you sign an agreement with someone and then discover that they are involved in illegal activities, the disclosure would be voidable. You are not required to keep illegal things secret. However, if you sign one, and all activities are legal and you want to keep working with the person you are bound legally to keep your agreement or you can be sued for damages. If your violating the non disclosure agreement causes your client to lose business you will be subject to monetary damages. You can get a non disclosure agreement made in several ways. You can hire an attorney, you can go to RocketLawyer.com, or you can do a google search on “non disclosure” agreements and find some samples. However you do it, make sure to be fair to your clients and those to whom you outsource. You cannot earn back integrity.